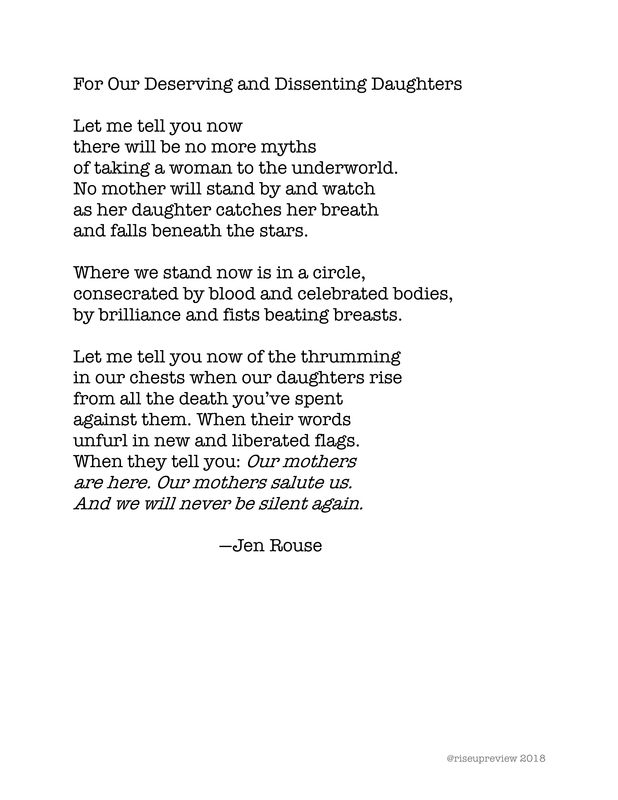 Jen Rouse’s poems have appeared in Poetry, Poet Lore, Midwestern Gothic, Wicked Alice, Yes Poetry, Anti-Heroin Chic, Crab Fat Magazine, Up the Staircase, and elsewhere. She was named a finalist for the Mississippi Review 2018 Prize Issue and was the winner of the 2017 Gulf Stream Summer Contest Issue. Rouse’s chapbook, Acid and Tender, was published in 2016 by Headmistress Press. Find her at jen-rouse.com and on Twitter @jrouse.